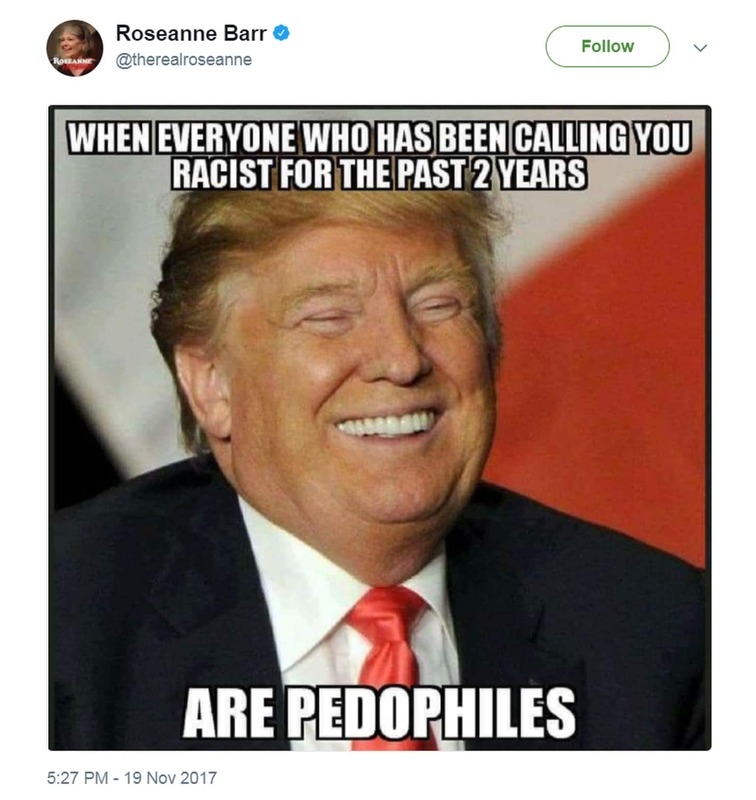 Roseanne Barr has a history of supporting President Donald Trump, as well as promoting popular online right-wing conspiracy theories. Barr received a congratulatory call from Trump on Wednesday for the ratings success of the premiere of “Roseanne,” the revival of her ABC sitcom, in which she plays a Trump supporter. On Wednesday, President Donald Trump called Roseanne Barr to congratulate her on the ratings success for the premiere episodes of “Roseanne,” the revival of Barr’s ABC sitcom. Roseanne Conner, Barr’s character on the show, is a Trump supporter. 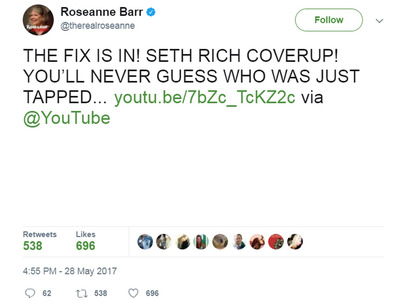 Barr herself has been a vocal Trump supporter since the lead-up to the 2016 election, and she also has a history of promoting popular online right-wing conspiracy theories. “I have always attempted to portray a realistic portrait of American working class people, and it was working class people who elected Trump,” Barr said in January at the Television Critics Association press tour of depicting her character as a Trump supporter. But as The Washington Post recently reported, Barr’s Twitter page had been a trove of Trump support and tweets promoting right-wing conspiracy theories like Pizzagate, up until she deleted most of her page’s history in December. Barr has shared YouTube links promoting Pizzagate, a conspiracy that Hillary Clinton and her former campaign chair John Podesta were using a Washington, DC, pizzeria as a base for a child trafficking ring. (“Pizzagate Journalists Being Attacked by MMFA & ThinkProgress!” she tweeted in December). 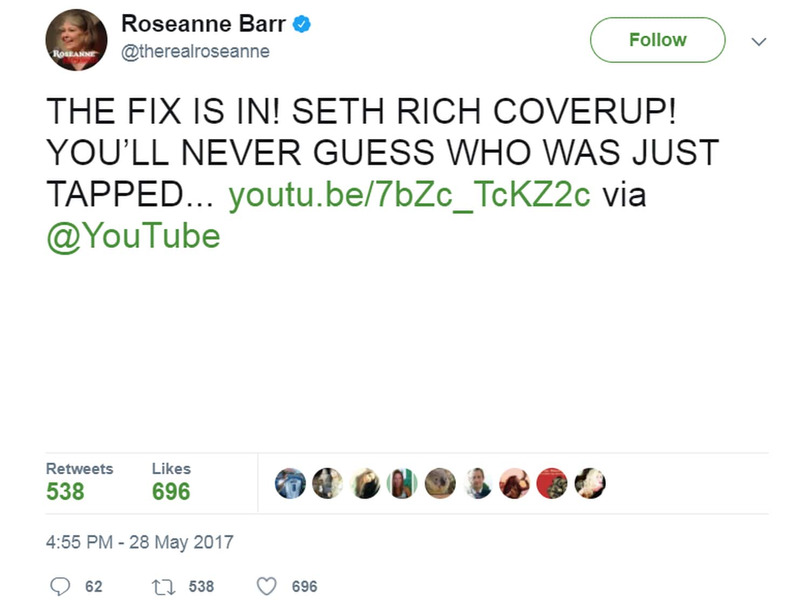 She also tweeted about the conspiracy of a “cover-up” surrounding the death of former Democratic National Convention staffer Seth Rich in July 2016.